Mold Inspections Protect your family from a myriad of potential health problems by checking for mold growth. Mold spores are virtually everywhere, making mold difficult to avoid. While it's usually harmless to humans, mold can become a problem when it grows indoors. Indoor mold growth can occur anywhere that has a supply of moisture. Places like an improperly ventilated attic, crawlspace, improperly installed insulation, plumbing leaks, flooded areas, and more. Mold growth can even start in as little as 24 hours. Mold is not only disgusting, it's also potentially dangerous. Some people have sensitivities to mold (allergies), and can experience Hay Fever like symptoms year round. In the cases of infants, elderly, asthmatics, and people with suppressed immune systems or lung disease can have much more severe issues. Mold may even be linked to respiratory illnesses in otherwise healthy children. Research in this area is still ongoing, so all mold should be treated as hazardous for the safety of your family. Black mold acquired a very ominous reputation after being connected to a cluster of acute pulmonary hemorrhage/hemosiderosis (bleeding of the lungs) cases among infants in Cleveland, Ohio in 1994. 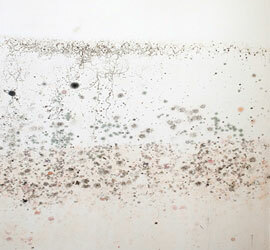 Although black mold is less common than many other types of mold, it is not rare. While research into the connection between black mold and major health problems is still in progress, it should be treated similarly to other serious health threats like asbestos, lead, and radon. I'll search for any indications of current or previous indoor mold growth, and give recommendations to eliminate the problem. Common problem areas include the attic, crawlspace, basement, and around plumbing fixtures — though mold can grow anywhere as long as there's moisture. 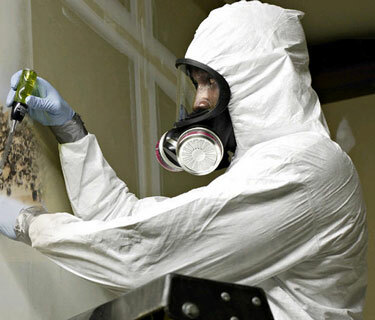 The most important part of any mold inspection is identifying the moisture source. The mold cannot be eliminated unless the moisture problem is resolved. McLaughlin Home Inspections provides mold inspections in the Capitol District and beyond including, Albany, Colonie, Latham, Guilderland, and surrounding areas. Not sure if that's you? Give me a call at (518) 389-5449 or send me an email. Find out if your home has hidden mold, and identify the cause. Schedule a mold inspection now or give me a call at (518) 389-5449.